A huge welcome to Vickie McDonough, author of 28 novels and novellas, including the Texas Trails: Morgan Family series, Texas Boardinghouse Brides, and A Pioneer Christmas Collection. Vickie discusses “Buckskin Bride”, her novella in A Pioneer Christmas Collection. For more information about Vickie and her books, visit her website: www.vickiemcdonough.com. 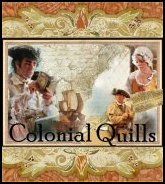 I love historical novels, and that’s mostly what I write. I chose 1889 because it was the year of the first Oklahoma land run, and I wanted my story to take place during the winter after that. My hero won land in the land run, and that’s the setting for my story, Buckskin Bride. Even though our boys are all grown now, we still put up a tree and have lights and decorations all over the living room. I hang stockings on the mantel but we no longer fill them since our sons are grown. We eat cinnamon rolls for breakfast on Christmas morning, then open presents, and later, have a big dinner mid-afternoon with the whole family. Christmas has been even more fun the past seven years since my granddaughter was born. I don’t know that my personal Christmas celebrations had any bearing on my story, except that the families in my novella gather together for Christmas dinner. I didn’t do anything to research since the Christmas celebration in my story focused mainly around the dinner and it’s set in Oklahoma, a place I’m very familiar with. I’d have to say the location because I wanted to set my story in the Oklahoma Territory. Actually, it was a tipi (teepee). One of the criteria for this novella collection was that your hero or heroine needed to live in an unusual type of home. I decided on a tipi and made up a story to fit with that. I think it would have been exciting to have ridden in one of the land runs, just like Tom Cruise and Nicole Kidman did in the movie, Far and Away. There was so much anticipation and expectations for the families hoping to win free land. Many did but thousands of people did not get land. I have friends who have family still living on the land their ancestors won in the land rush. That is definitely exciting! I'm told my great-grandparents were also in the Oklahoma land rush. What aspects of your characters are reflected in yours? My heroine, Maddie, has dressed in buckskins most of her life. She’s comfortable in them, and it makes riding horses, hunting, and doing chores easier. She has no desire to wear dresses—and neither do I, although I don’t wear buckskins. :-) I don’t care for dresses, and I only own two. One of them is the one I wore in my son’s wedding, thirteen years ago. I was born and raised in Oklahoma, and have traveled much of the state. I don’t know that I’ve been to the exact spot where my story takes place, though, because I was rather vague about were it is located exactly. That my heroine finally dons a dress. I had my doubts that she actually would. In some ways. I love horses and have always been a tomboy and even dreamed of growing up and marrying a rancher. But, I love my modern conveniences like my laptop, air conditioning, kitchen appliances, and indoor plumbing and would hate to leave them all behind. My dad’s parents were born in 1874 & 1876. I know that’s hard to believe but it’s true. I’ve never been able to verify it, but my dad told me that my grandma rode in one of the Oklahoma land rushes with her parents. I do know that my grandparents left the Pennsylvania Dutch country and traveled to El Dorado, Kansas, where my dad—the youngest of their ten children—was born. Then my grandpa got a job with an oil company, and they moved the family to Oklahoma. I still have family in Pennsylvania. What spiritual themes did you deliberately incorporate into your story?Which ones did you discover later? Trusting God when times are hard is a common theme I write about and one I used for Buckskin Bride. I pretty much stuck to that theme and can’t think of anything that popped up later in the book. Don't forget--the giveaway wraps up September 1. Winners announced September 3! 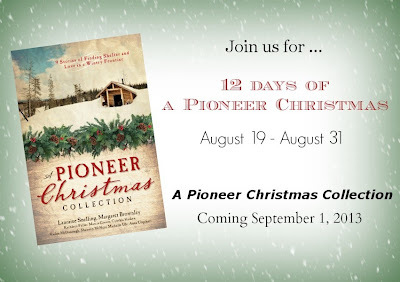 I would enjoy reading reading Pioneer Christmas this coming Christmas season. It would be a good opportunity to sample some new-to-me authors. Blessings, Kay! Thank you for stopping by, and I hope you enjoy the collection! Kay, Thanks for stopping by today.